It’s funny how I pulled up this dusty blog to rant about how I hate change, because it seems WordPress has drastically changed its dashboard since the last time I logged in. Why do people insist on updating something that works perfectly? A great example: Twitter. I knew Twitter was too good to be true, that they would eventually mess it up. It was too easy to use, too pure, too perfect. It didn’t take the powers-that-be long to figure out a way to completely complicate it and make it less attractive to users. Now, I can’t even go onto web Twitter. It’s like returning to the chopped-down trunk of a beloved tree. If you feel the same, I urge you to run to Twitter clients like Tweetdeck and MetroTwit for your desktop. You really don’t ever have to return to web Twitter again, which is how I prefer it. Still, I can’t help but feel like I’m waiting for someone to come along and ruin these Twitter clients next. The actual reason my fuse was lit this morning is because my writer’s space is about to be destroyed, and I am in panic mode. I once remember seeing an interview with Michael Crichton, and he talked bout how he ate the same sandwich every day while writing a book. Routine is extremely important to writers. For me, it can make or break my writing process on a given day. I hate to be the “delicate artist” here, but I simply can’t handle distractions when I’m trying to get deep into my creative zone. My main problem is the fact I cannot write at home, because home is a distraction-riddled minefield. I work from home, too, and so I can’t write in my office–it puts me into work mode, and not creative, world-beating mode. 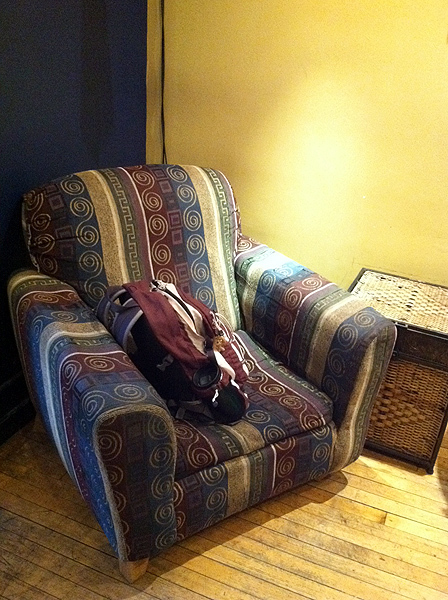 My writing space is at a certain local coffee shop about a five minute drive from my house. I have a certain chair that I always sit in that has never moved from its spot in the seven years I’ve been going there; it’s become the centerpiece of my routine. It’s the only plush chair that sits by itself in a corner, and I am completely content there with my chai and a freshly-baked scone. In this chair, with this exact same drink and scone set-up, I have written hundreds of thousands of words. I wrote the majority of and finished my first novel in that chair; I started and finished several short stories in it; I have written nearly every single word of my weekly column there; I sat down and wrote the first and last words to my second novel in that chair, and also climbed out of the depths of my writer’s block depression while in sitting on this revered piece of furniture. I tend to think of this chair as my property. Yup, I’m the mayor of this coffee shop on Foursquare and its duchess on Yelp! It’s my home away from home. I don’t even have to tell the baristas what I want when I walk inside–they know my order without me having to utter a word. When I’m on vacation, I miss my coffee shop. It’s the first place I rush to after I return from a trip. It’s the one place I have that truly that centers me. This is how I like it. I don’t have any desire to see this routine change. Any change would be what I refer to as “a disturbance in the Force.” Some may see it as throwing a stone in the water, causing a ripple effect bent on destroying creative flow. The first bad omen was when my beloved scones disappeared and were replaced by dry, traditional new ones. This was a problem in itself, because apparently I’d become addicted to my coffee shop’s raspberry white chocolate scones, and nobody else in the area makes them the same way. I’m telling you, these things were like crack. So someone took away my crack, and I would walk in with bloodshot eyes, stomach growling, and leave hungry and shaky. It wasn’t pretty. Then, a sign was posted about the new ownership. At the end of the month, my coffee shop is being turned over to someone new. While it will remain the same business, the baristas have already spilled the beans to me about the owner’s proposals for changes. The first change is a new menu and an increase in prices on their usual beverages and food. One of the baristas has not been calming my worries, as he’s told me he’s worried about the coffee shop and thinks the new owner is going to ruin it. I could not agree more. And then this news today. The same barista who confided in me revealed the new “kid’s corner” (which I was against from the first mention–what is this, McDonald’s? ), which I only assumed was going in the back where there was more space, is going in the corner where my chair is. This news couldn’t be any worse. Essentially, the new owner of this coffee shop is going to make me homeless. I’m not quite sure what my face looked like when I turned really quiet and the air dropped out of the room and I told my barista comrade, “That chair is the only reason I keep coming back,” but the lights may have flickered, and I swear I heard the crescendo of violins and a shriek of crows in the distance. This is the week it’s all supposed to end. This may be my beloved coffee shop’s swan song. Yes, there are other coffee shops in town, but they’re much noisier, their hard-seated chairs aren’t for sitting in for hours upon end, they don’t have the same chai, and there is no hope any place else will ever have my old, sweet scones. Since I am such a creature of habit, I may return a few times once the changes are implemented to see the damage wreaked upon my happy abode, but I have been left without hope. The first rewrite of my novel in progress is just about complete, and I came to my coffee shop this morning to start working on it again, only to be tossed for a loop with this news. Needless to say, this distraction caused me to derail. I know how ridiculous I must sound to most people–there are much bigger problems going on in the world than my dumb chair in a coffee shop, right? My only answer to those people is, how would you feel if the one place that centers you was taken away? I truly wish I could find a place of peace and creative center at my house, but it’s largely impossible. I’m at a loss for how to handle this. 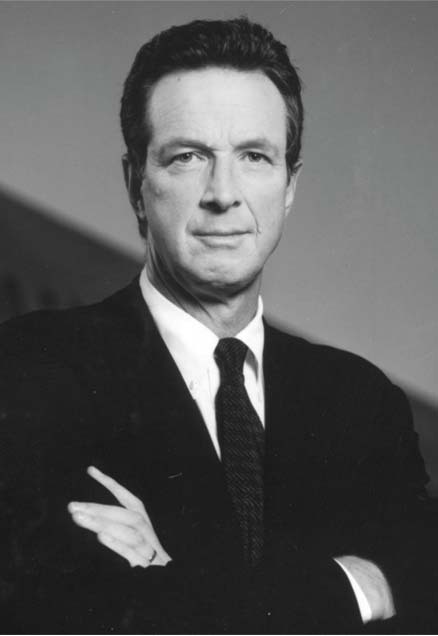 I wish the ghost of Michael Crichton would appear to give me some advice.